I can't believe it's almost the end of summer. My biggest lament is that peach season will soon end. Please tell me that you still have peaches in your kitchen. If not, then I hope your nearest grocery store is still having some incredible sale on them. The reason I say this is because once you see this peach BBQ sauce, you're gonna feel the urge to grab any and all peaches you have and make it as soon as possible. The Hungry Homebody linked this recipe up to my Sweets for a Saturday linky party several weeks ago. The moment I saw it, I knew this was the recipe for me, especially since I had a fridge bin full of ripe, sweet peaches all ready to be used. But, wouldn't you know it. I got all geared up to make this sauce one weekend and then realized that I only had peaches and NONE of the other ingredients. Apparently, my stomach was running ahead of my brain. Not to worry. This past week, I made sure to put every one of those things on my shopping list and returned home full of anticipation. The sauce is super easy to make since all it requires is throwing everything into a pot and letting it cook down. Naturally, I spiced things up quite a bit with more red pepper flakes, a dose of my beloved sriracha sauce, and some chipotle chili powder. The heat goes really well with the peaches, but if heat's not your thing, you can leave it out and you'll still have a pot of deliciousness. This sauce blew my tastebuds away. I put some onto chicken breasts and had one divine dinner. I think this would also be fantastic with meatballs (that's the next thing on my menu) and just as good with fish. Now I know why Hungry Homebody made so much of it. You'll definitely want some jars packed away to use throughout the year until peach season comes around again. Speaking of which, I think I'm gonna have to go buy myself a bushel of peaches because I need more of this sauce ASAP. Combine all ingredients in a large pot. Bring to a boil then reduce to medium high heat and cook for 25 min. Puree with a handstick blender to your desired consistency. This cake cuts the fat, but not the taste. Sounds good to me. Sweet and simple is sometimes the best. These just make me wanna shout YAY!!! A while back, POM Wonderful contacted me and asked if I'd like to receive a case of their pomegranate juice to use in a recipe. Would I ever!!! I had eaten pomegranate seeds before but never tried the juice. I couldn't wait for it to arrive. They sent me all these little bottles of beautiful ruby red juice. 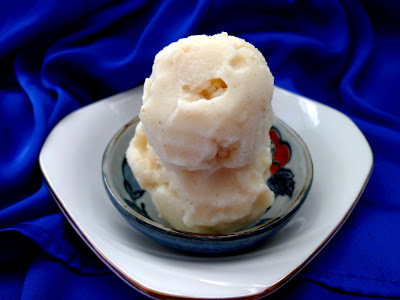 I decided there was no better way to use it than to make a cool, refreshing sorbet. I got the recipe from the POM website and it was fantastic. I loved the flavor of the pomegrante juice and the color of the sorbet is simply stunning! 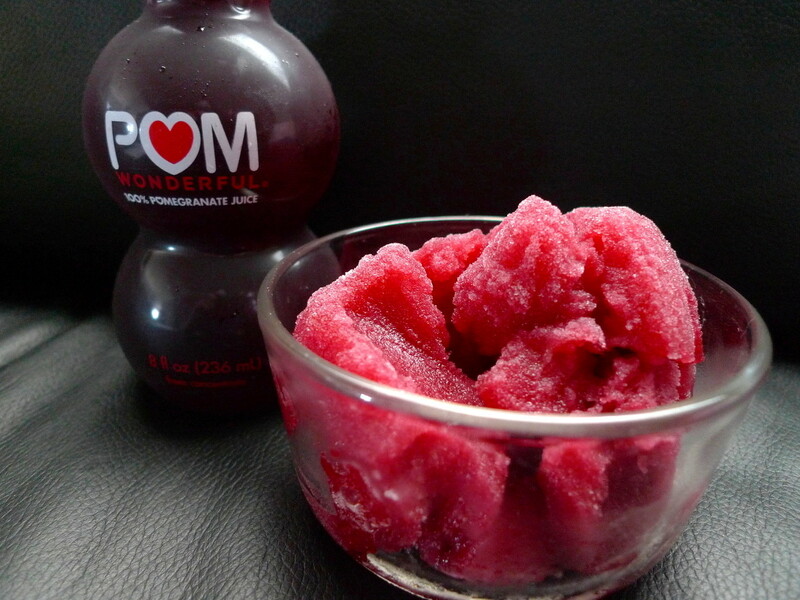 If you haven't tried pomegranate juice yet, you should because it is awesome. 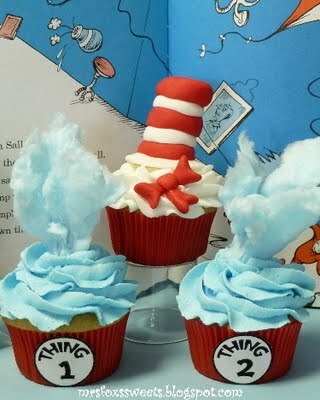 WINNER: Congratulations to Mrs. Fox's Sweets!!! She was the winner of my jewelry giveaway. I'm so happy for her. Combine water and sugar in saucepan over medium heat until sugar dissolves completely. Remove from heat and allow it to cool down in the refrigerator. Once chilled, add pomegranate juice. Pour the mixture into the can of an ice cream maker; process according to the manufacturer’s directions. 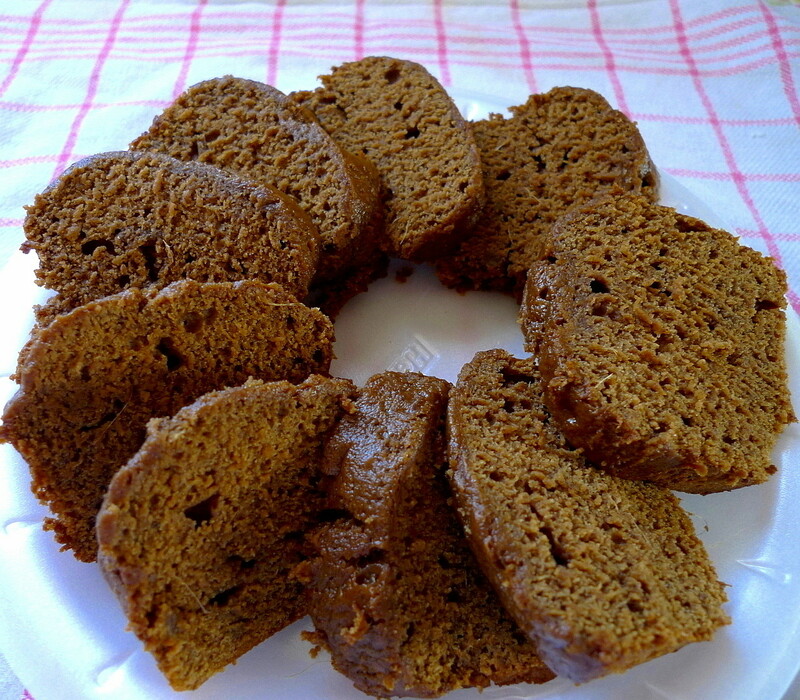 Banana bread seems to be one of those ubiquitous treats that everyone has baked at some time in their life. Yet, it's incredible how many variations one little recipe can have. Some add spices, others use sour cream, then there's the ones that make the banana bread extra special by putting in peanut butter, Nutella, chocolate chips, or even butterscotch chips. But, this time, I wanted a banana bread that was different from any other I had ever seen, and that's when I found this recipe for Banana Gingerbread on the blog, Vittles for the Voracious. 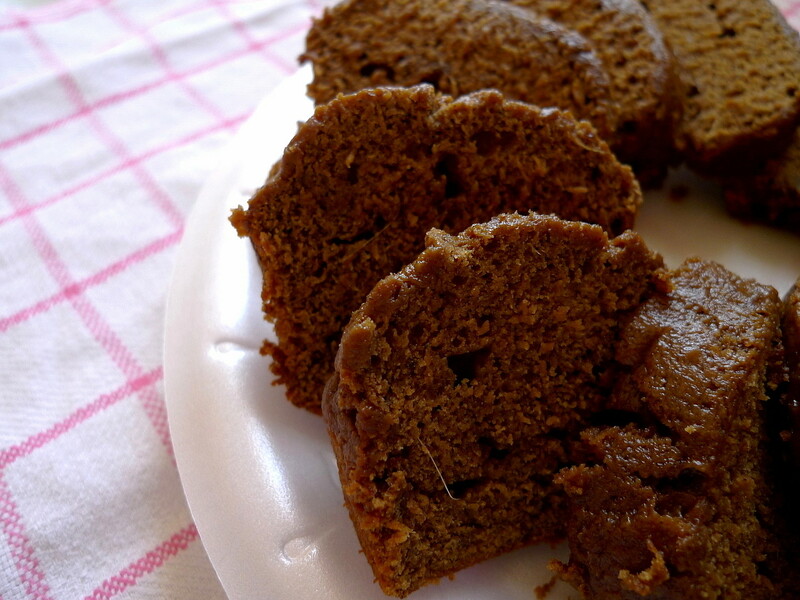 The recipe uses a multitude of spices and it even has a healthy helping of molasses. Seriously, how could I resist making this. The best part is that there are no eggs in it so you can taste the batter as you go and decide if you want to add a little something extra. I increased the spices and added a tablespoon of grated ginger for extra oomph. I also added a teaspoon of vanilla, because vanilla just always seems to belong in a banana bread. Finally, I substituted melted butter for the oil to give a little more richness in flavor. Then, I tasted the batter, yes I did, and boy was it ever good. If the batter was that yummy, then the bread was sure to be a sweet success. One thing to note is that a little patience will be required before you dig into it. I tried eating it right after it came out of the oven and found that it had a gummy texture. At that point, I thought the recipe was a flop, but after letting it cool completely, everything evened out and it had a delightfully dense crumb. 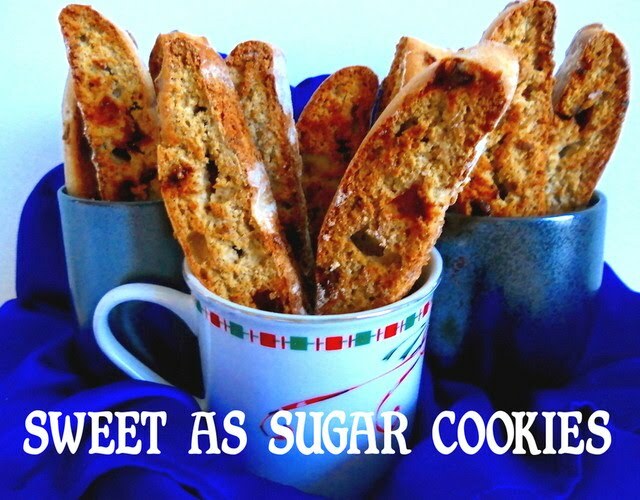 You definitely will taste the banana and the molasses and it's one delicious combination. 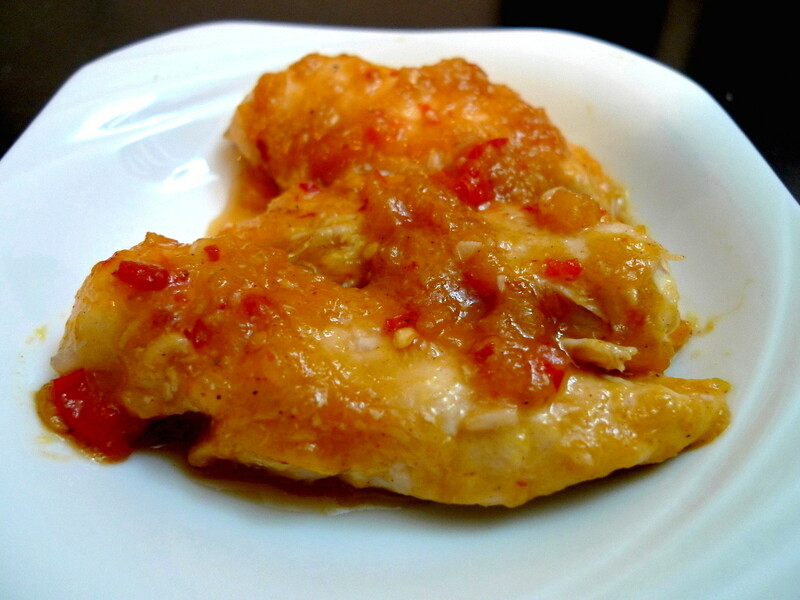 The only thing I'd do differently is to add another tablespoon of grated ginger to really make that flavor pop. Otherwise, this was a great change from the usual banana bread. Grease three mini loaf pans or one 9x5 loaf pan. Combine the flour, baking powder, baking soda, salt, and spices. Combine the sugar, banana, molasses, milk, yogurt, and melted butter. Pour into the dry ingredients and stir until just combined. Pour into the pans and sprinkle with coarse sugar, if desired. Bake at 350F for 45 min. (9x5) or 40-50 min. (mini loaves) until a toothpick inserted into the center comes out clean. Sweets for a Saturday has always made my weekend a sweet one. But, now that I've started working, my weekends are sweeter than ever because that's when I go absolutely crazy in the kitchen and bake and make ice cream/sherbet/sorbet like there's no tomorrow. On an average weekend, I'll try at least 5-6 new recipes. This past week, I've made Black Pepper Ice Cream, Peach Sorbet, Molasses Bread, Triple Cinnamon Crunch Biscotti, and more, all of which I'll be posting later on. What about all of you? Do you go kitchen crazy on the weekends too? 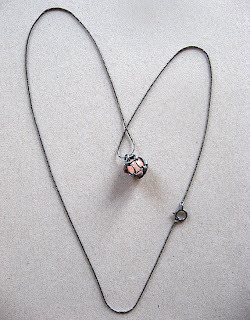 By the way, my giveaway for this beautiful necklace is still open and there are low entries. It's open till August 22, so make sure you go over and enter. 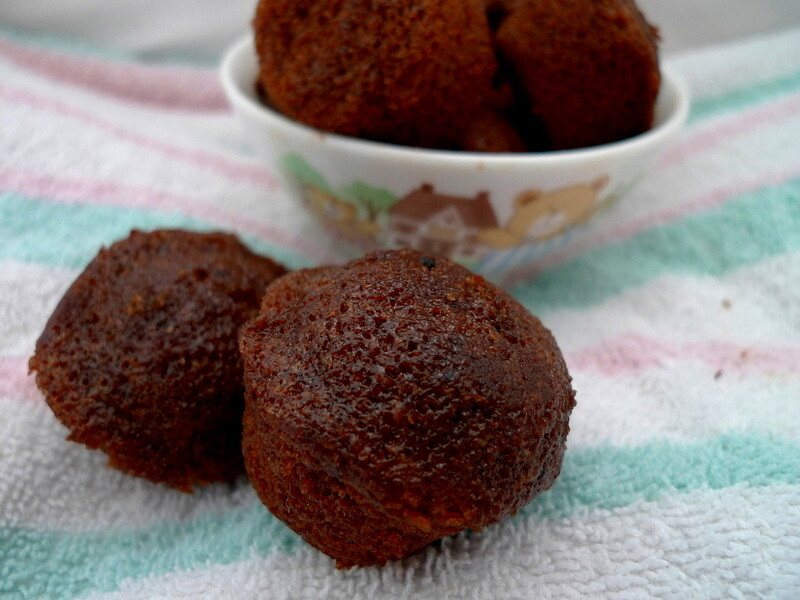 Yup, I've got another spiced up recipe to share with you. This time, it's a Lemon Sherbet with ginger and cardamom to kick things up. But, there are NO lemons in this. Say what???!!! All the lemon flavor comes from . . . lemon Kool-Aid. Believe it or not, those little packets you see in the juice aisle aren't just for drinking anymore. Don't get me wrong, I love fresh lemons and am more than willing to use them in recipes. But, sometimes they just aren't on sale. So, I came up with this nice alternative and was totally pleased to find out that it worked so well. Just add a little to some milk, spice it up as you please, and churn baby churn in your ice cream maker. Then, voila! 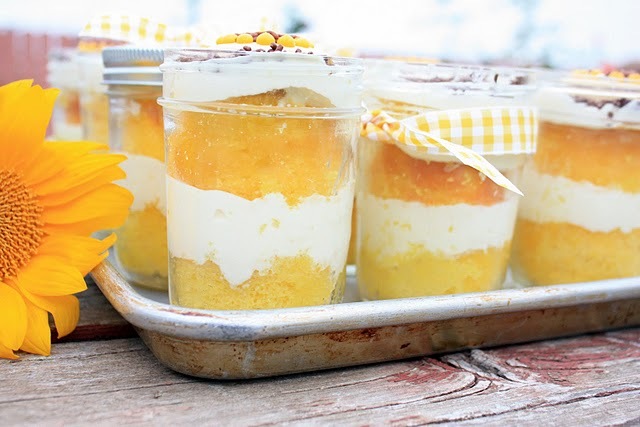 You've got yourself one delicious batch of Lemon Sherbet that's sure to please this summer. Sprinkle the gelatin over 2 Tbsp. of the milk and let stand 5 min. Combine the rest of the milk with the other ingredients. Add the gelatin milk mixture back in and whisk to combine. Pour into your ice cream maker and churn according to manufacturer's instructions. Scoop into a freezer safe covered container and put in the freezer for several hours. I love being adventurous during dinnertime. Being able to break away from the tried and true recipes of my childhood and trying something new is always such a delight, especially when the dish turns out to be something really good. This time, I decided to try a recipe that I saw on Alli's site, "Alli n' Son" - Baked Turkey Meatballs with Sweet Peanut Butter Sauce. How's that for a change?!!! I've had meatballs with barbecue sauce, sweet sour sauce, teriyaki sauce, and spaghetti sauce, but never peanut butter sauce (though I have eaten chicken satay before). Her mouthwatering photo gave me all the incentive I needed. I did adapt the recipe a bit to fit my preferences. To make the sauce lower in calories, I used water instead of the oil (which didn't affect the taste one bit) and I kicked things up with a nice spoonful of sriracha sauce mixed into it. 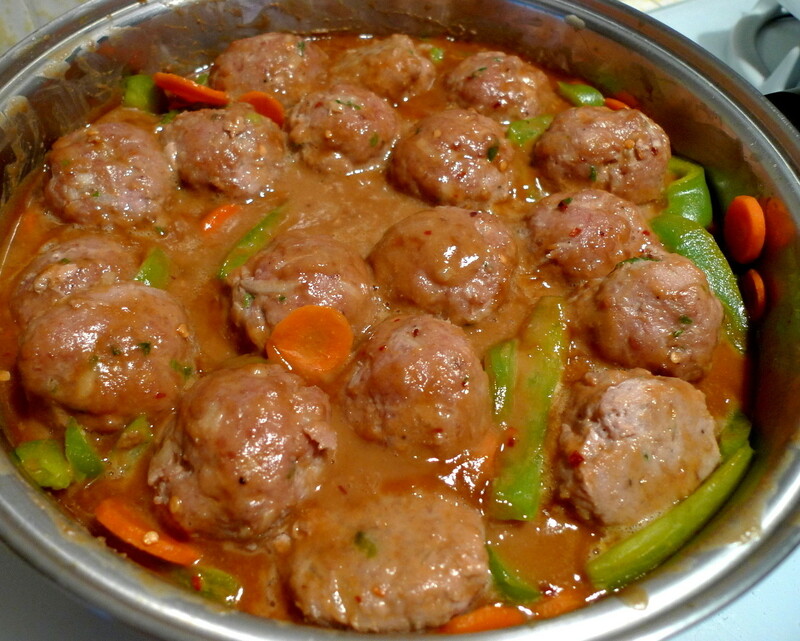 I also doubled the sauce so that I could have enough to let my meatballs and vegetables simmer in it (and believe me, with a sauce as tasty as this, you're gonna want to double it). The meatballs were awesome! The peanut butter sauce was so delicious and the sriracha added just the right amount of spice to it. I'm so glad that I decided to try something new for dinner because I loved, loved, loved this recipe. This may have been the first time I made this recipe but it for sure won't be the last. Combine the ingredients for the meatballs. Form into walnut-sized balls and bake at 350F for about 25 min. Lightly saute the bell pepper and carrots in a large skillet until they are tender but still crisp. Combine the ingredients for the sauce and add to the vegetables. 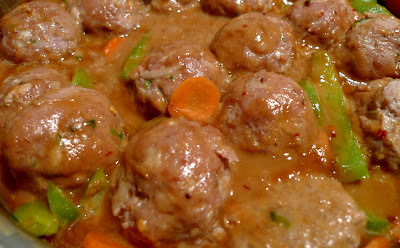 Add the meatballs and coat with the sauce. Let simmer 10-15 min. until everything is heated through. I know, it's not Christmas yet. But, that's no reason why I can't enjoy a good gingerbready treat. I firmly believe that gingerbread, like pumpkin, can and should be eaten throughout the year whenever the craving hits you. Of course, when the craving does hit me, I don't want something with just a hint of spice. No, I want something with a powerful flavor that makes me say, "Now THAT'S gingerbread!!!" 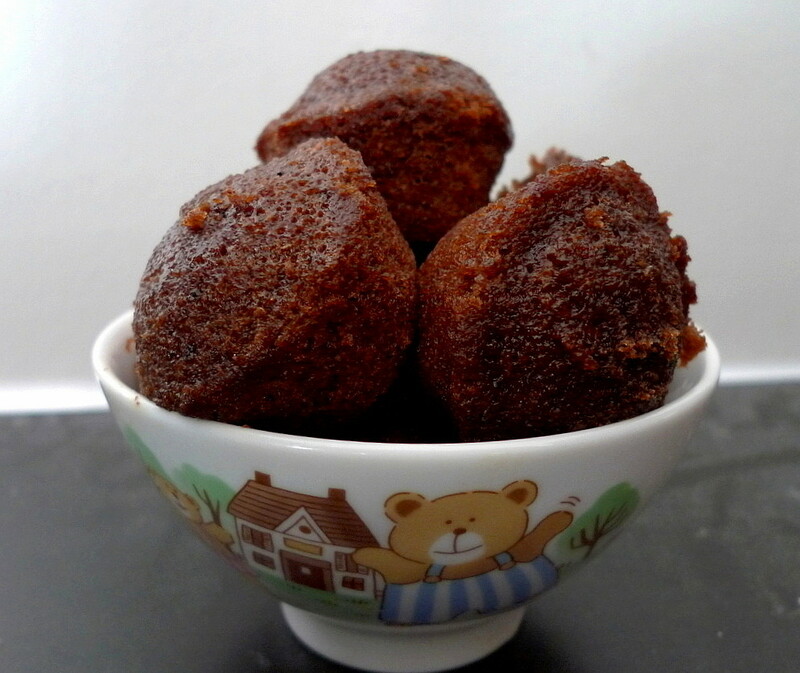 So, naturally, I was drawn to this recipe for Hot Peppered Gingerbread Muffins from the Sweet Melissa Baking Book. One look at the recipe and you can see that this is loaded with every type of spice imaginable. We're talking 5 tsp. of mixed spices + 3 whopping tablespoons of fresh ginger. At one point, I even started to wonder if this might possibly be too spicy, even for me (and that's saying something). But, the adventurous side got the best of me and I decided to go for it all the way. The only changes I made was to omit the mustard (since I didn't have any), use all white pepper instead of cayenne, and substitute hot water for the coffee (since I don't drink coffee). One thing to note is that the batter will be very, very thin. I almost wondered if I should have added less water. But, do not worry. It all works out and they bake up beautifully. As for the taste, I will tell you right now, do not skimp on the spices. It seems like a lot, but they all combine together for the good and make for one absolutely yummy gingerbready muffin that is full of flavor (not overly flavored). I've never tried any other recipe for gingerbread muffins before and I'm not sure that I ever will because this one is a keeper! Grease your muffin tins (1 standard 12-cup muffin tin or 4 mini muffin tins). Combine the flour, baking soda, salt, and spices. Beat the eggs and sugars until thick. In a slow, steady stream, add the oil and molasses. Stir in the grated ginger. Add the flour mixture in three batches, alternating with the hot water and mixing well after each addition. Pour the batter into the muffin cups and bake at 350F for about 15 min. (for the mini muffins) or until a toothpick comes out clean. Let cool and enjoy. This has gotta be one of the best days of the month because it's REVEAL day for the Secret Recipe Club!!! What's the Secret Recipe Club, you ask? It's this really cool group that was started by Amanda of Amanda's Cookin'. Each month, all the participants get assigned to someone else's blog from which they pick a recipe to make and post, but it's all a secret until the big day. Anyone can join, just click HERE to sign up. 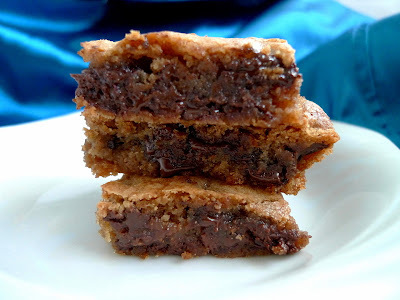 This month, I was assigned to Barb's blog, "Mom's Fridge" and the recipe I picked was one that she had linked up to my Sweets for a Saturday linky party - Favorite Chocolate Chip Cookies. The one twist to this recipe is that it has cinnamon in it. Well, you know I can't resist trying another chocolate chip cookie recipe, especially one that's spiced up. I did make a few changes to the recipe, however. 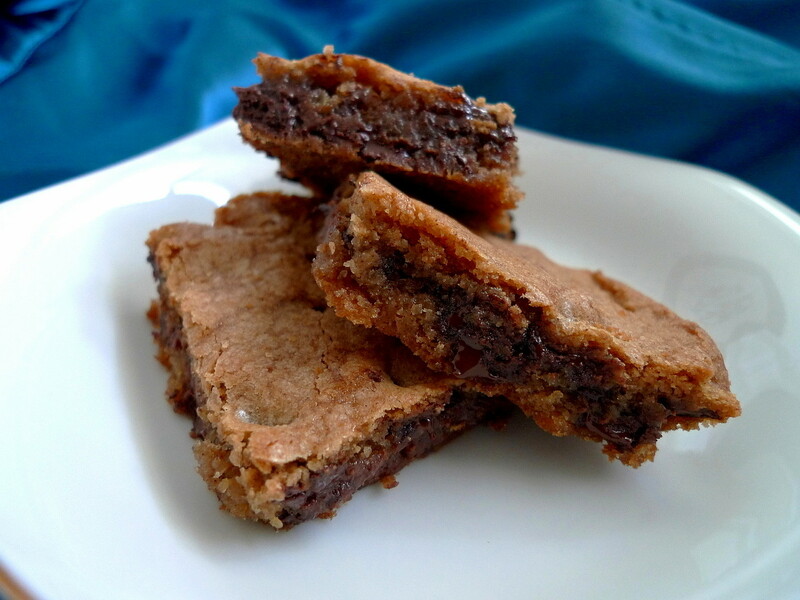 I used dark brown sugar instead of light brown sugar and I accidentally put in baking powder instead of baking soda. Then, because the dough is very soft, I chilled it overnight in the fridge. Also, my oven tends to make cookies spread like crazy and I definitely didn't want that to happen. So, I put the dough into a pan and baked up some cinnamon chocolate chip cookie bars instead. Oh man. Making these into bars was the best call ever! 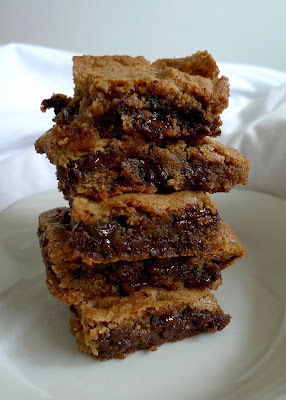 They were totally chewy and gooey on the inside and full of warm, melty chocolate running through every bite. 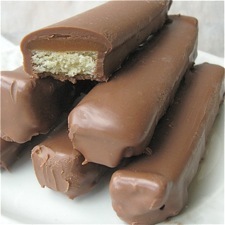 I tell you, I was in heaven eating these bars. It took every bit of my self control to keep from eating half the batch. 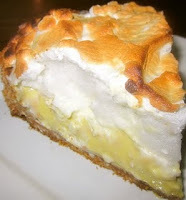 Thanks so much Barb for one yummilicious recipe! Cream butter, sugars, vanilla and egg with electric mixer until light and fluffy. Add dry ingredients, excluding chips. Stir in chips by hand or use the mixer on very low speed. Chill the dough overnight in the fridge in a covered container. Put the dough into an 8x8 greased pan and bake at 375F for 40-50 min. until a toothpick comes out clean (mine took 50 min.). 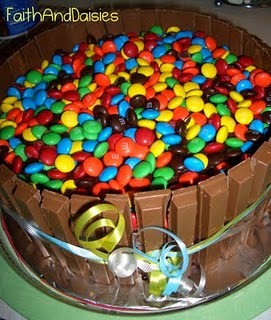 Talk about yumminess galore. Think you've got what it takes to make the Top 5? Let's see it!!! I don't know what I would do if I didn't have spices. It seems like I just can't get enough of them and I add them to everything - cinnamon on my blueberries, black pepper with my cherries, pumpkin pie spice in my yogurt, etc., etc. So, it's only natural that some (or a lot) of spice should find its way into my ice cream recipes too. 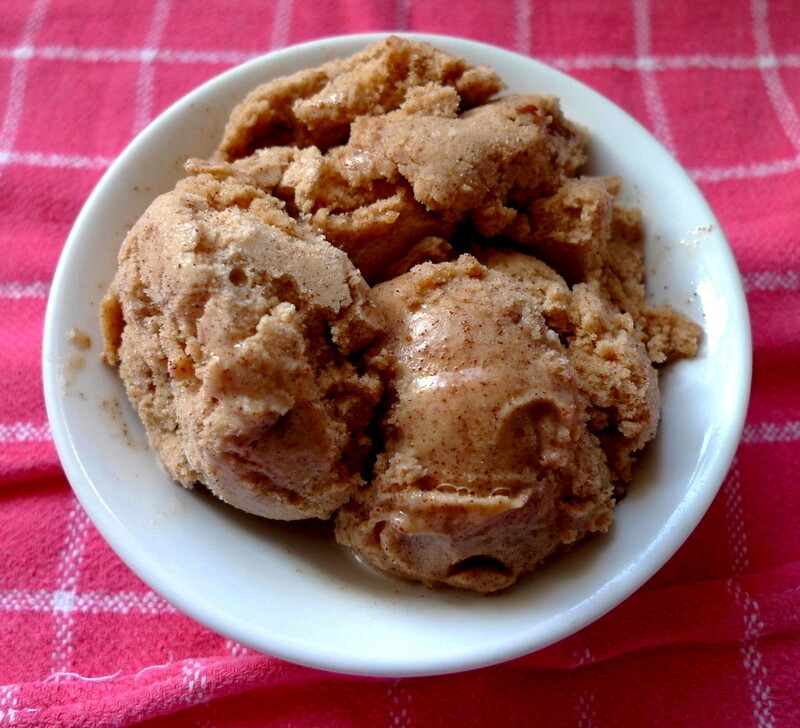 This time, I decided to use my beloved cinnamon to create a Double Cinnamon Sherbet and believe me, I used a lot of it. I used 5 tsp. of it and could easily have added a sixth to make a full two tablespoons. Don't worry about the flavor being overpowering, it's just right. And, as if that weren't enough, I also decided to add some yummy cinnamon chips to the sherbet for double the punch. I also learned a little trick. You see, I always use fat-free milk in my recipes and that makes for an icier sherbet. But, David Lebovitz's site taught me that a little gelatin added into the mixture will keep it soft and scoopable even after hours in the freezer. It's a miracle. It totally works. No more chipping away at it with a fork, no more waiting to be able to scoop it. It's ready whenever you are. But, returning to the cinnamon chips, raise your hand if you knew that they don't melt when you put them in the microwave. I honestly thought they would. When I was creating this sherbet, I envisioned the cinnamon chips all melty and liquidy and then I would drizzle it into the sherbet to make a cinnamon flavored stracciatella. Yeah, that didn't happen. Instead, they kind of softened a bit and clumped all together so I ended up having to crumble them in instead. But, that didn't affect the taste one bit. The sherbet was absolutely delicious, full of the cinnamon flavor that I know and love. I couldn't get enough of it. In fact, it's almost all gone so without a doubt, I'm going to have to make more. Oh yes, that's exactly what I'm going to do. Sprinkle the powdered gelatin over 3 Tbsp. milk and let stand 5-10 min. Combine the milk and sugar in a saucepan and stir over med heat, just until the sugar has dissolved. Remove from the heat and add back the gelatin-milk mixture. Whisk in the cinnamon. Pour into your ice cream maker and churn according to manufacturer's instructions. In the last 5 min. of churning, sprinkle in the cinnamon chips, if desired. Scoop into a lidded container and put into the freezer for several hours to harden. When you think of the words "match made in heaven," what comes to mind? 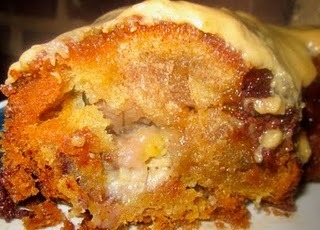 In the foodie sense, I think of chocolate and peanut butter, lemon and ginger, and raspberries and white chocolate. But, have you ever thought that those words could apply to cherries and rosemary? Up until now, I never even imagined of combining the two. That is, until that one fateful Sweets for a Saturday when Catalina of Catalina Bakes linked up her recipe for Cherry Rosemary Yogurt Mini Loaves. She absolutely raved about how well the two flavors complemented each other. 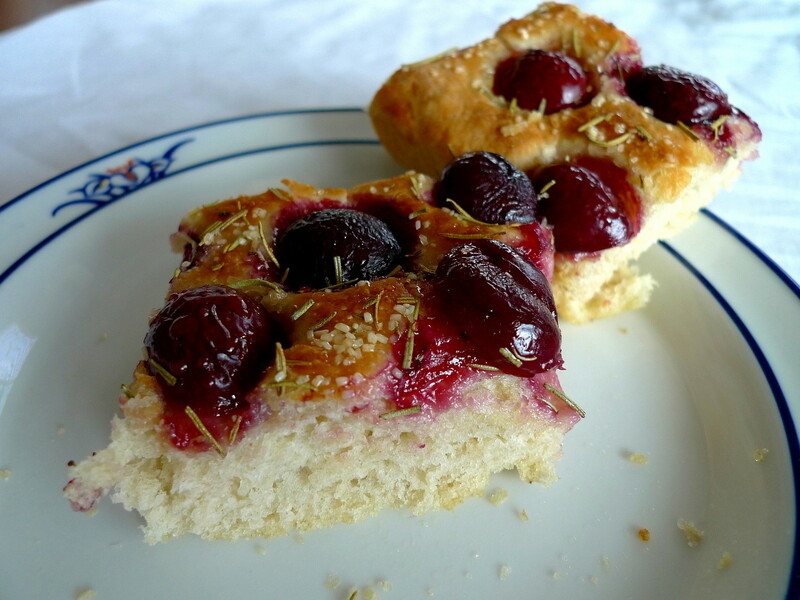 As it turns out, the idea to pair cherries and rosemary in sweets or baked goods wasn't a new one. Upon further search, here are some other recipes I found that use the same combo. 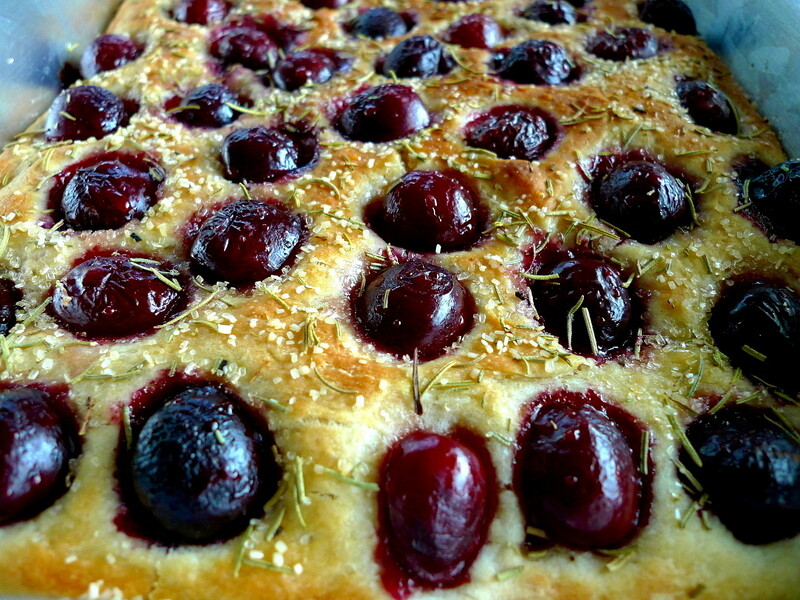 Then, of course, there was the one recipe that caught my eye - Cherry Rosemary Focaccia. 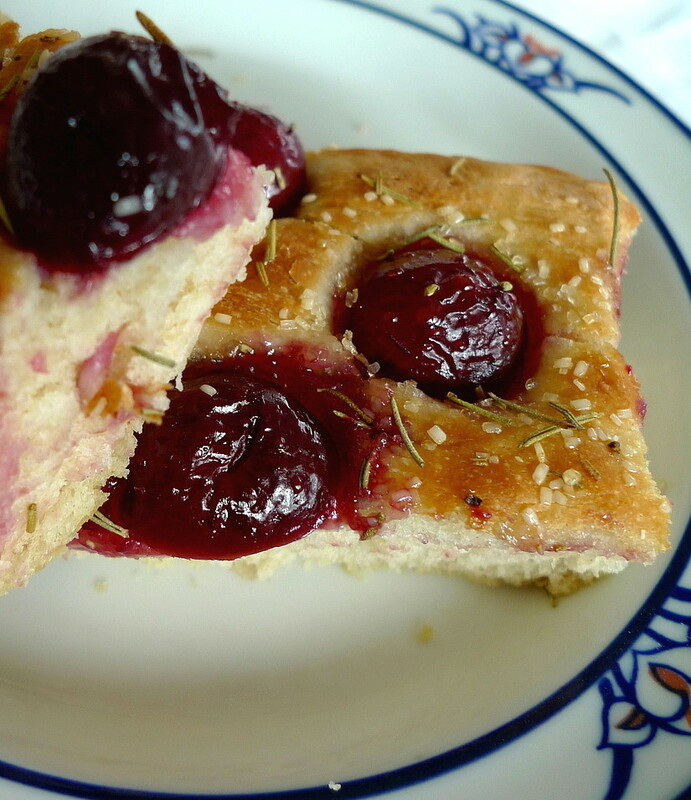 It was on Food Gal's site and it looked so wonderful that I knew I had to try this especially since I had never tried a sweet focaccia before. However, I didn't use her recipe. 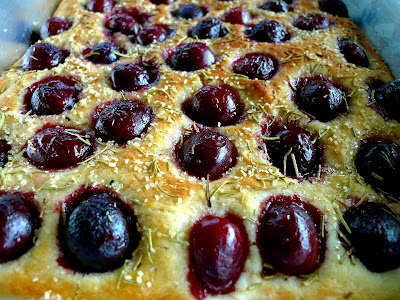 Instead, I used my go-to King Arthur Flour No-Fuss Focaccia recipe and topped it off with the cherries and rosemary as well as a little demerara sugar while it baked. First of all, let me just say that this focaccia bread turns out absolutely beautiful. The dark red cherries stand out in contrast to the lighter background of the bread and make for one eye-catching loaf. Then, there's the taste. It is such a delicious thrill to bite into it with the juice from the sweet cherries exploding in your mouth and the rosemary there in the background melding perfectly with it. I'm so glad that I learned about this new flavor sensation. This is now my new favorite focaccia. I can't wait to make it again, and again, and again. Combine the warm water with the active dry yeast and the 4 tsp. sugar. Let stand until foamy, about 5-10 min. Drizzle 2 Tbsp. olive oil into a 9x13 metal pan. Place the dough into the pan. Cover and let rise for 60 min., till it's become puffy. (Note: the risen dough will be super sticky so make sure that whatever you use to cover it will not touch the dough by the end of the hour or you can grease the plastic wrap) While the dough is rising, preheat your oven to 375F. Gently poke the risen dough all over with your index finger. 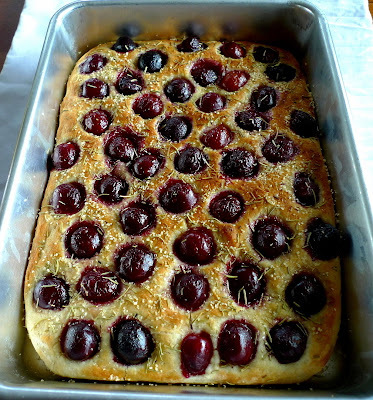 Drizzle it lightly with the remaining olive oil and arrange the cherries on top. Sprinkle with the dried rosemary. Bake the bread till it's golden brown, about 35-40 min. In the last 5 min., sprinkle with the demerara sugar. When bread is done baking, place it under the broiler for about 30 seconds to 1 minute. This will caramelize the sugar on top so that it sticks to the bread. 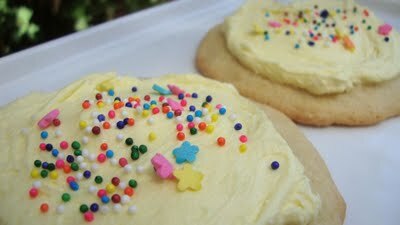 This past week, Sweet as Sugar Cookies passed the 900 followers mark AND passed the 500 followers mark on Facebook. Whoo-hoo!!! You are all awesome! Thank you for all your support, your sweet comments, and the wonderful treats you link up each week to Sweets for a Saturday. As a "thank you" I've decided to have a giveaway that I'm sure you're all going to love. My good friend, Stacy, recently started her own jewelry business on Etsy called "Quintessential Elements." 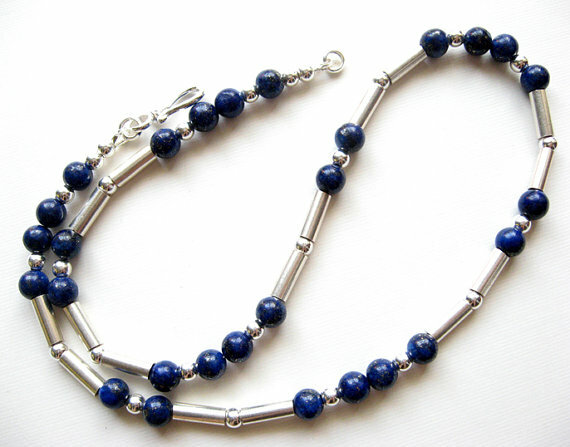 She originally began making jewelry for women and then expanded to men's jewelry upon the request of her boyfriend. Her creations, which use materials like wood, gems, shells, bones, leather, and fine metals, are totally elegant, modern, earthy, unique, and naturally beautiful. It's a Rose Quartz Gem Pendant on a Sterling Silver Chain. 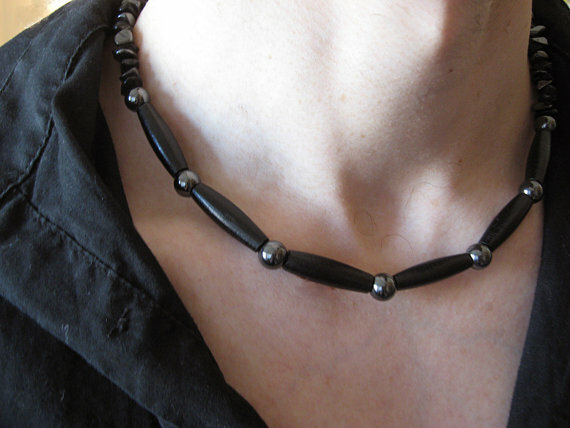 It comes in oxidized and non-oxidized (i.e. shiny) versions. Did I mention that I am totally jealous of whoever gets this pretty bauble? After seeing it, I wanted one for myself too. Rules: This giveaway is ONLY open to US residents. You must complete the mandatory entry in order for your other entries to count. Otherwise, I will have no choice but to delete your entries. If your e-mail address doesn't show up in your Google profile, please leave it in your comment so that I have a way of contacting you. 2. Tell me what your favorite item was and why and what type of jewelry you like to wear. Extra Entries: Please leave a separate comment for EACH one you do. This giveaway will continue until August 22, 2011 at 7:00 PM PST. The winner will be announced here on my blog the next morning and will also be contacted by e-mail. The winner has 48 hours to respond or a new winner will be chosen. GOOD LUCK!!! Thank you for all your sweet comments last week. I'm still making the rounds with all your treats, but rest assured, I will get to all of you. This week I've gotta give props to Juliana of Piece, Love, & Cooking. 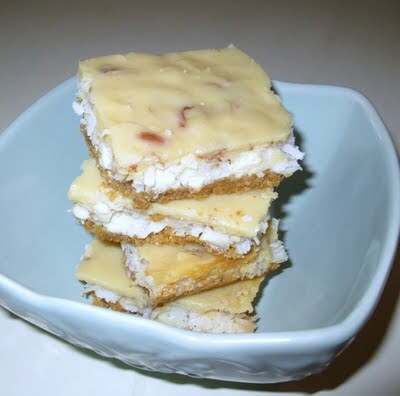 Her recipes have been absolute hits these past few weeks and upon looking at the stats for this week, I found that her treats had taken not one, not two, but the Top 3 spots for last week's Sweets for a Saturday. So, here's her treats as well as the other Top 3. I've never eaten at Outback Steakhouse before, so I had never heard of something called Bushman Bread. But, when Mickey from Monster Mama posted about it in her blog, I was intrigued. The recipe called for ingredients like cocoa powder and molasses and just looked too good to pass up. So, I whipped up a batch the very next day. I ended up making quite a few changes to the recipe. For one thing, I didn't have any food coloring, so my loaves ended up being only a light brown rather than the rad purplish color that Mickey's got. Secondly, I realized while making the bread that I was out of bread flour. I could have sworn that I had some left, but apparently I had already used it up on something else. I also don't usually have wheat flour on hand either. So, I ended up using only all-purpose flour to make the bread. Finally, I changed the order in which the ingredients were mixed. But, even with all the changes, the bread still turned out perfectly. It really did make the house smell amazing as it baked and I couldn't stop nibbling at the crust when it came out of the oven. I'm definitely glad I tried this recipe out. I don't know how close it is to the actual Outback Bushman Bread, but it's good enough for me. Mix sugar with warm water, then dissolve the yeast in the solution. Let stand 5 min. until foamy. Combine the honey, molasses, and butter. Add the yeast mixture and stir well. Add the cocoa powder and salt, then add the flour gradually until the dough no longer sticks to the bowl. Knead the dough for about 10 min. in a lightly floured surface, then roll into a ball and place it in a covered bowl in a warm place for 1-1 1/2 hours or until it has doubled in size. When dough has doubled, separate it into 4 even portions. Roll each into a log shape. Sprinkle cornmeal all over work surface. 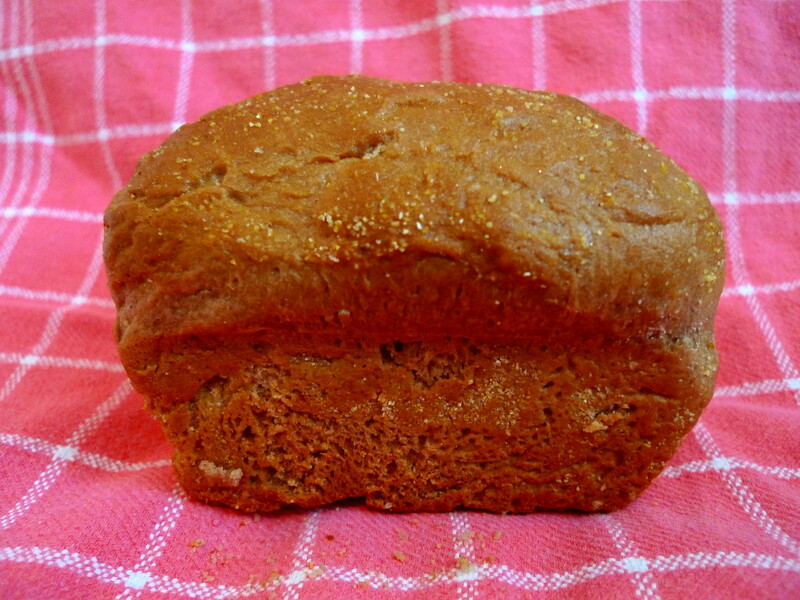 Moisten your hands and rub a little on each loaf and roll each one into the cornmeal. Transfer each log onto a cookie sheet (or you can put each one into a mini bread pan like I did) and cover with plastic wrap. Let sit in a warm spot to rise for another hour until they have doubled in size. Preheat oven to 350F. Uncover and bake 35-40 min. When bread is done, let it cool for 10-15 min. I love spicy foods. When I was in Brazil, I put hot pepper sauce on my food all the time (including on my popcorn). And, whenever I cook, I always have some cayenne pepper, sriracha sauce, or red chili flakes nearby to give my food a little heat (okay, maybe a lot of heat). 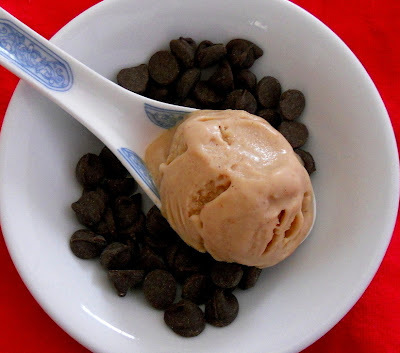 So, I just knew that I had to try this recipe for Spicy Peanut Butter Ice Cream when I saw it on Katrina's blog, "Baking and Boys." 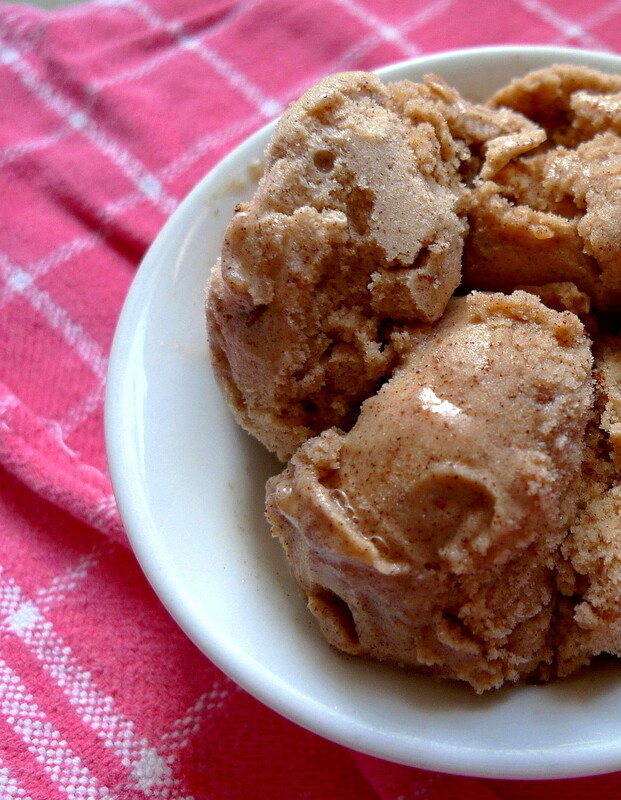 Now, to the naked eye, this may seem like an ordinary peanut butter ice cream. But, in reality, this ice cream packs a punch. Hidden in each bite are tiny flecks of chipotle chile powder, paprika, and cayenne pepper making for a Spicy Peanut Butter Ice Cream that will surely surprise all those who eat it (in a good way). The best part is that you can customize the spiciness to your liking. If you're like me, you'll keep on going with the spice until your tastebuds squeal, "Burn baby burn!!!" If not, you can add just enough to give your tastebuds a tingle. Or, you can leave it out altogether and you'll still have one delicious peanut buttery bowlful. Either way, I guarantee you're gonna love it! Pour all of the milk, except 2 Tbps., into a medium saucepan. Add the peanut butter, brown sugar, and cinnamon and whisk. Over medium low heat, bring it almost to a boil. In a small bowl, whisk the 2 Tbsp. reserved milk with the cornstarch until there are no lumps left. Just as the mixture in the saucepan is almost about to boil, stir in the cornstarch mixture. As it thickens slightly, remove the pan from the heat and whisk in the vanilla. Blend for about 30 seconds in a blender. Chill the mixture thoroughly. Pour into your ice cream maker and freeze according to manufacturer's instructions. Put in a covered container in the freezer for a few hours. 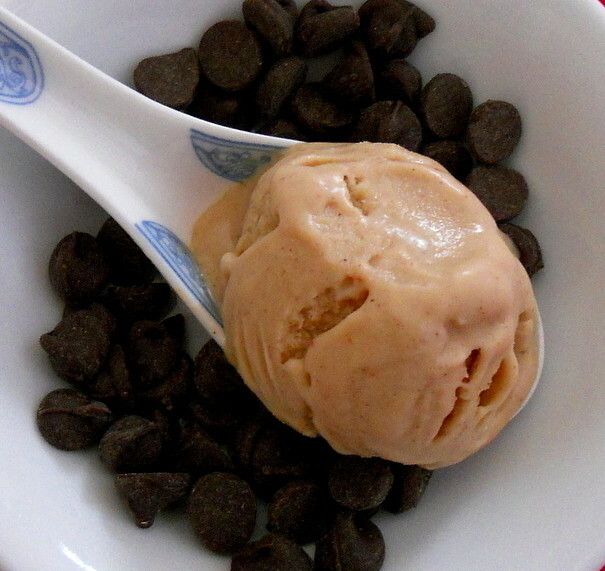 Note: Normally, ice cream made without any cream will tend to become icy in the freezer. But, the cornstarch will prevent this from happening, giving you a much smoother and creamier texture without the extra fat.